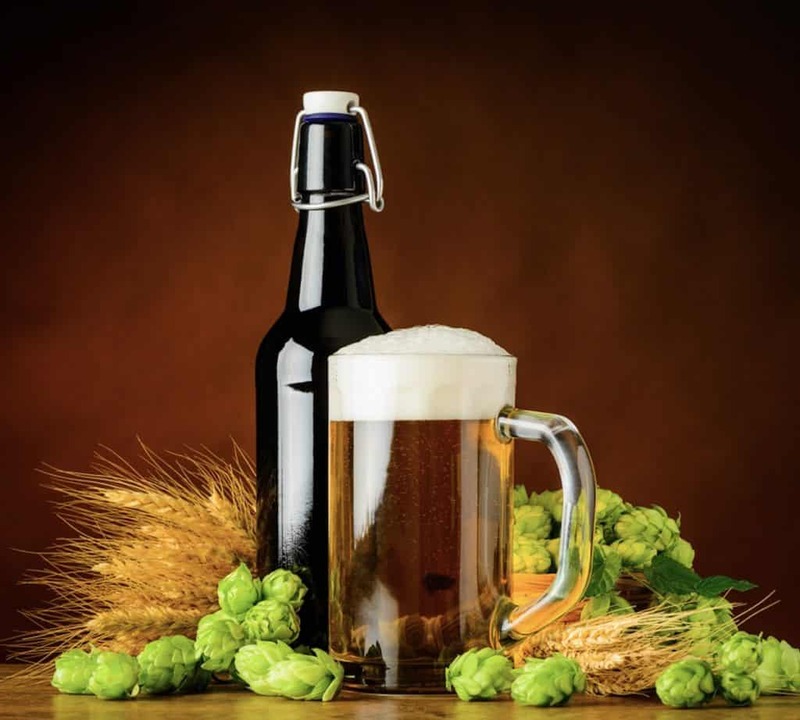 In the past 10 to 15 years handmade-style beer has gained popularity across the country. This phenomenon has left me asking one question. What took so long? US beer enthusiasts have been waiting years to catch on. Now it seems like there are new pubs, local craft breweries, and small mom and pop brewing businesses popping up all over the place. This is wonderful news for those of us who enjoy trying new recipes and love to venture out of our comfort zones. With so many different small town places to go, how do you try all of these drinks? Better yet, how do you even hear about some of these places? These are the two questions that I get asked the most from the readers of my blog, and it’s a fair question. How can you try new and interesting beers on a regular basis? But I feel you. Some days you just want to trying something different than your usual supermarket brews or your go-to craft beer. Don’t worry, there’s an even easier way to enjoy tons of beers regularly without even leaving your living room. 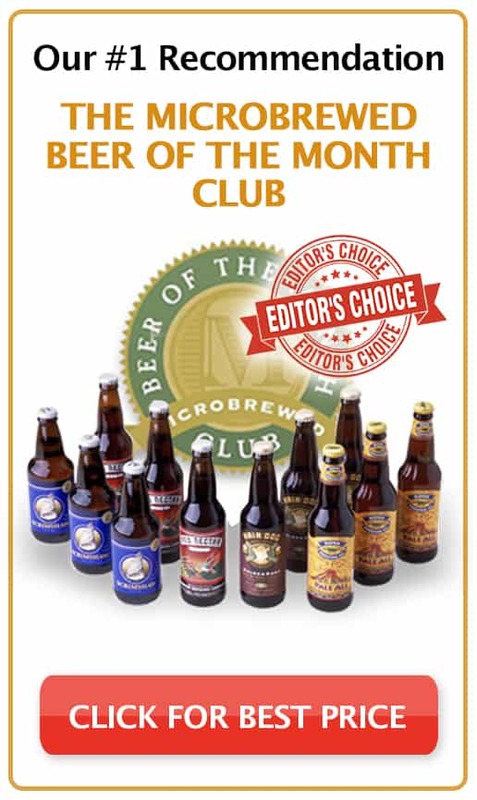 Join a Beer of the Month Club! The brew will get delivered right to your door. There are many different clubs to choose from. 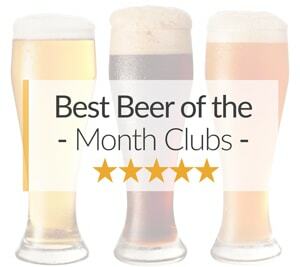 I have been a member of each or at least researched the details of each club and have narrowed my recommendation down to the best three monthly beer clubs that are out there. 10 What is a Beer of the Month Club? 12 Beer of the Month Subscription Boxes vs Clubs? 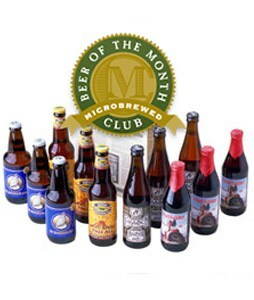 The Microbrewed Beer Company by Monthly Clubs is perfect for anyone looking to try new brews. They have been in business since 1994 and specialize in tasting and hand picking a nice-tasting brew. This company is one of the most respected in the beer community because of their commitment to quality, freshness, and diversity in each month’s selection. 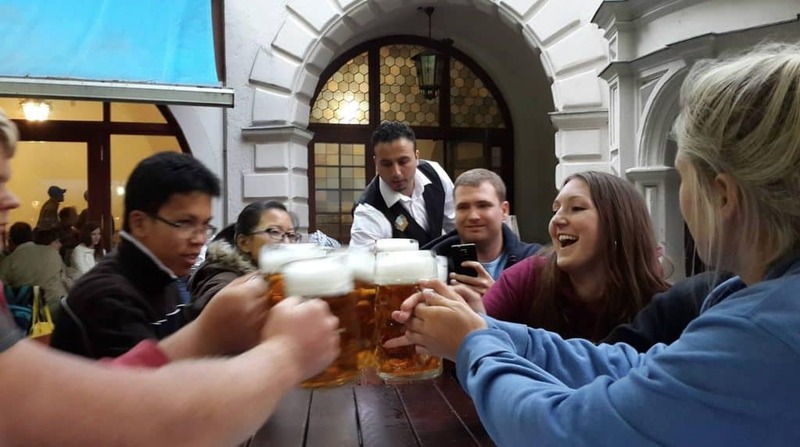 The International Beer Club – perfect for people who want to get a taste of beer made outside the US. 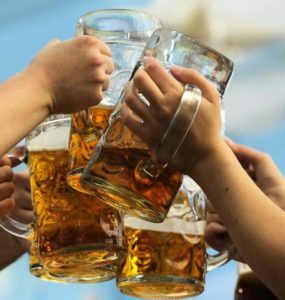 You get 12 beers – two beers of six different styles each month – that originate from Germany, England, Belgium, and a few other countries. U.S. and International Variety Club – a mix the best of both of the first two clubs. This is their most popular club and is fantastic for any beginner or veteran drinker with a taste for diversity. 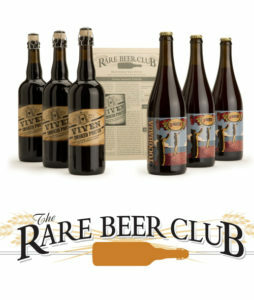 Rare Beer Club – originally founded by M. Jackson to be one of the world’s most creative and exceptional clubs offering bold U.S. and imported Farmhouse Ales, Russian Imperial Stouts, Barley Wines, Belgian Abbey Ales, Strong Ale and cask-aged ales. What you get: Apart from the beers, each month they will also send you a monthly newsletter that explains their month’s picks, brewery information, staff taste notes, upcoming events, and food pairing suggestions. Shipping: only available within the U.S. only. 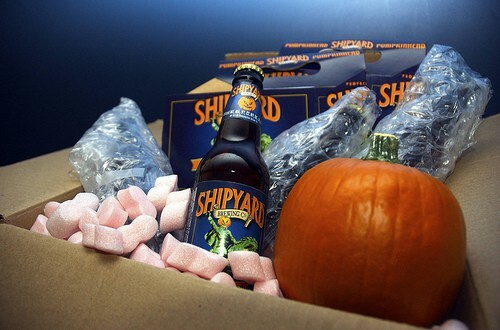 Orders that are made in Massachusetts or Texas can take an extra week to arrive. Currently… there is a superb special deal going on until the end of April. This is for people who want to explore all the tastes and skills of world-class brewers in the US. World-Class beer has all the food compatibility and complexity of wine and at half the price. In the 1970s there were only about 50-100 small town brewers in the US. Today, there are an estimated 2,300 breweries in the United States. Each one of these 2,300 has their own unique history and taste. It’s obvious that there is no way you can possibly know about and try all of these. That’s what they do for you. Their crew samples hundreds of different brews each year and pick out the best to give to their members. Each month’s shipment includes three bottles of four different styles including: American Amber / Red Ale, American Amber / Red Lager, American Barleywine, American Blonde Ale, American Brown Ale, American Dark Wheat Ale, American Double / Imperial IPA, American Double / Imperial Pilsner, American Double / Imperial Stout, American IPA, American Pale Ale, and many others. With this near limitless selection, you will always be trying different craft beers from around the country. What else do you get: a newsletter talking about the history of each brewery, the styles, and tasting tips. 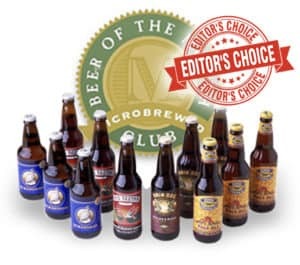 Who this is best suited for: The Original Craft Beer Club is a better choice for people who want to start exploring different domestic brew and want to learn a little bit more about the microbrew culture. Price: Their prices ain’t cheap. It’s a little more expensive than Microbrews, but it includes a few more bottles each month. This way you can test out more brew types without having to pay too much more of a premium price. 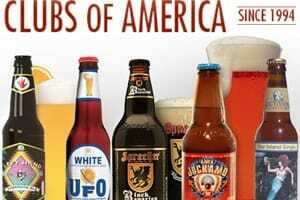 Next on our list is Clubs Of America, which also happens to be one of the longest running beer of the month clubs. Originally founded in 1994, the team there have been doing a fantastic job at creating more than just a random monthly beer delivery. What you get: The first thing to point out is that each delivery contains four different types of beer with 3 12 ounce bottles of each. The beers are hand selected, and throughout a year, you get a vast range of different types of beer. From amber ale to lager, and traditional stout to hefeweizen, you won’t be disappointed with any of them. 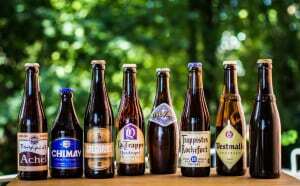 The selections are also made based on the time of year, so you’ll often get lighter beers in the summer months, and some darker and more full-bodied ones around Christmas. What else do you get: you also receive a regular newsmagazine called Beer Expeditions. This contains information about the craft beers you receive and the breweries behind them. 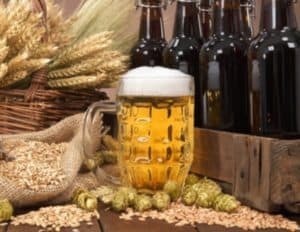 But it also has some great news and general homebrewing information – Even I find out some exciting new things about beer that we’ve featured in our own blog as well. Shipping: the price is already included in the price, and if you’re concerned about glass bottles arriving in one piece, then we can put your mind at ease. Between 5 of us here in the office we have never had so much as a chipped bottle or even a lost delivery. DESIGN YOUR OWN BEER TODAY! When deciding on exactly which beer club you should be a member of, you must first decide which category is most important to you. That will help you narrow the search down to a specific club that best fits you! If you’re reading this paragraph, you most likely already decided that beer selection is most important to your taste buds and I don’t blame you. Personally, I find it to be the most important and exciting category to have in a beer membership. 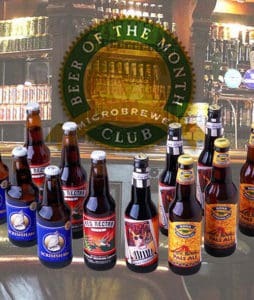 Our recommended beer of the month club for diversity: US & International Club by Microbrewed (see full review). The US & International Variety Beer Club boasts a near A+ in every single category we review in beer clubs and by far the best when it comes to diversity. They categorize their beer by country, brewery, and style, and guarantees you’ll get an awesome range that will never leave your taste buds bored! Subscription boxes comes with 12 beers (per month) that are specifically chosen by Microbrewed’s highly respected panel of judges. These shipments will include 12 beers from two different breweries, one international and one from the US. Each brewery will send you three of their top two best tasting beers, which will give you six beers from each brewery. Most clubs do offer pretty close to the same diversity as this beer club, but since they’re throwing in a mix of international and US beers, it changes the game. 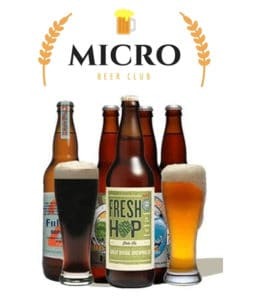 If you’re on the lookout for a membership that delivers an incredible diversity of craft beers on their menu and still does a killer job in every review category, pick up a US & International Beer Club membership from Microbrewed! Oh yeah, and make sure to take advantage of the superb deal going on until the end of April. View their website by clicking below. Not everyone is going to want the same thing from their beer club membership. 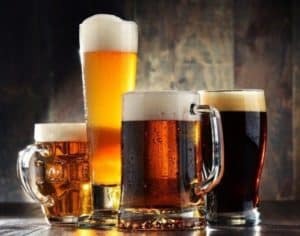 Some may want the most unique beers they can get their hands on, some may be in it for the adventurous taste of international beers, but some may just be looking to get some awesome brews for a good price. If this is you, then you’re in the right place! 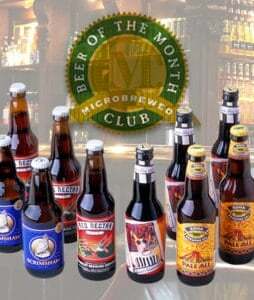 Our recommended beer of the month club for value that I have found is The Original Beer Club (see full review). But what makes this one of the most amazing clubs for value? Thought you’d never ask! It does well in nearly every category we review beer clubs. This includes a range of beers, the way it’s is shipped to your doorstep and last but not least, customer service. They do all this without costing you an arm and a leg. Impressive? I think so. Variety: 12 beers total per shipment, four different beers from two different microbreweries. You’ll never receive the same drink twice. Selection Process: Each month’s beers are chosen by a panel of experts based on the overall taste, smell, color and the limited availability of the beer. You’ll only receive premium picks. Community: The membership does not include a wonderful community like some of the other clubs offer. 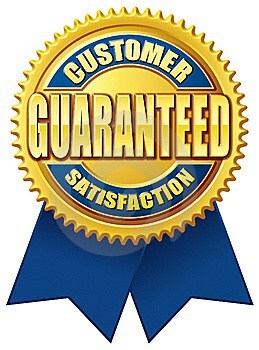 Shipping: Each shipment is carefully packed and guaranteed that it will arrive in perfect condition or your money back. Customer Service: These guys have been in the biz for over 12 years and have served over 1 million satisfied customers and still earned a 99% customer satisfaction rate. If you’re looking for a beer membership that gets an A+ in value, grab yourself a membership and you certainly won’t be disappointed! 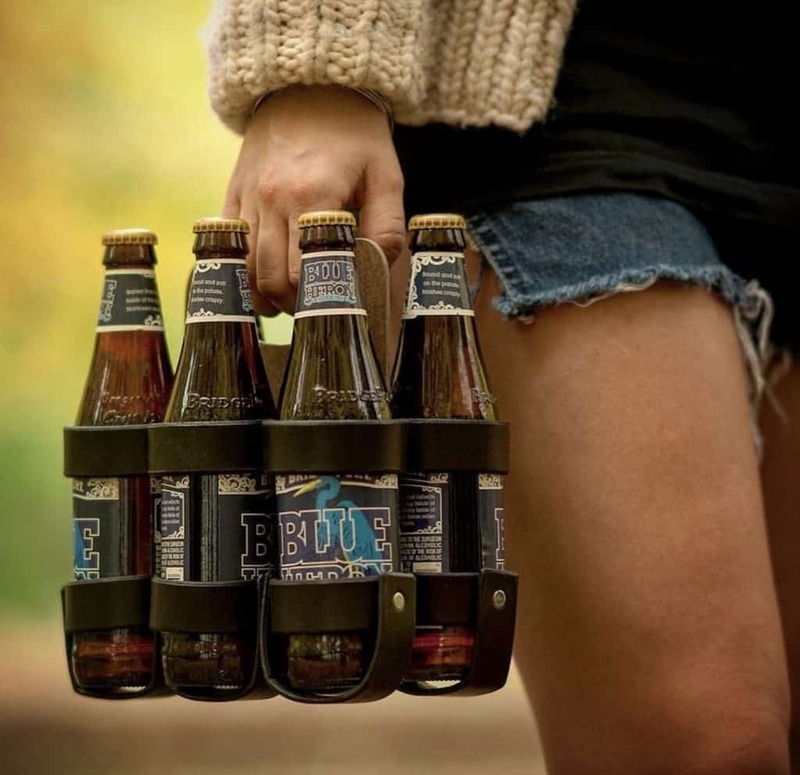 If you’ve got family members or friends that are beer lovers or just absolutely obsessed with beer, this is seriously the perfect gift for them and it will surely please them. I’ll share my experience and knowledge and help you understand why, so continue reading on. They have decided to incorporate a ‘Gift announcement’ that allows for several different options. 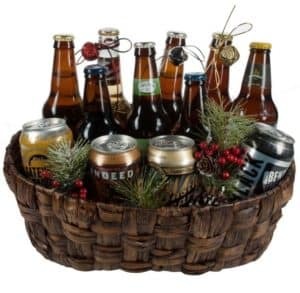 This customizable gift announcement is sent prior to their shipment and contains a personal message, information about their beer membership as well as the delivery schedule. If you’re looking for a last minute gift idea, this information can also be printed off immediately and put right into a card. So save yourself the hassle of finding something unique and get your friend/family member a beer subscription gift. I mean… what other club do you know that offers personalized gift cards? As a craft beer lover myself, I am limited to what they sell at the local grocery and liquor stores. Although I may find a store that has an excellent range of brews, it is still only a ridiculously small fraction of what is available. To put this into perspective, there are over 3,000 different breweries in the United States alone and over 12,000 worldwide. Let’s say that each of these was to brew 10 different craft beers over the course of a year. That would be a total 120,000 different beers. WOW! Now head down to your local market and count how many different unique brew they have on their shelf. 10? 20? 100? Nothing compared to 120,000. 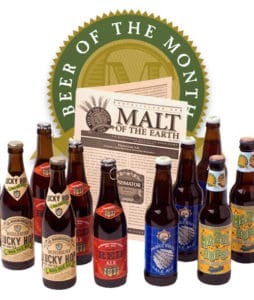 The only way to actually gain access to an array all the different breweries without spending a lifetime jumping on an airplane or driving a million miles worth road trips is to join a Beer of the Month Club. Buying your friend, family member or significant other a six-pack at the local market will leave them satisfied, but purchasing them a 12-pack of nearly impossible to get unique brew that will leave them blown away. Trust me, I know. If you’re considering it, you’re in the right place. If you aren’t a procrastinator and want to purchase gifts ahead of time, they give the option to choose which month you would like to start the shipment. To subscribe (or if you just want more info), visit their site by clicking down below. These can be brews that you pick out from their vast choice or what I like to do is have them send me a variety pack of the specials that month. Get 6 to 12 beer types/brands that you have never tried or even heard of each month. If you try one that you like, you can go ahead and order more of it. This is the impressive part; it exposes you to new drinks that you would never have even heard of. Some clubs even learn your tastes based on which brews you tend to pick, and they suggest beer for you to try each month. This is by far the best way to experience new beers and really branch out with your tastes. Let’s talk about what you should look for in a club before you sign up for one. There is nothing worse than signing up for something that isn’t going to work for you. I’ve come up with a few criteria that I use to judge how good a club is. There are so many benefits to joining a monthly beer club that it’s kind of difficult to touch on all of them. Expand Your Taste – Obviously, the main benefit is to widen your current option of tastes. We all are used to the few things that we like, and honestly, we tend to get stuck in a rut. I know I do. Without someone making me trying something new, I will tend to keep drinking the same group of beers in my favorites collection. A monthly club will help you find new brews that you like and even introduce you to some that you would never have thought you would like. My tastes have matured, and I like tons of different stouts now that I would never have even tried ten years ago. I think joining one will help you branch out of your comfort zone and help you find even more fantastic brews that you would never have even heard of if you hadn’t joined. Affordability – With that being said, though these clubs are exclusive, the cost is much more affordable than trying to travel to these small breweries and purchase the brew yourself. Remember most of these places don’t sell their brews to the public online. You can only get them through dealers or go to the brewery yourself. Joining a club is much cheaper and affordable than doing either of these things. 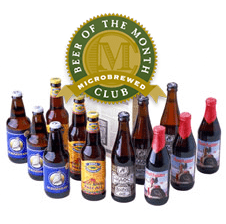 Beer of the Month Subscription Boxes vs Clubs? Within the homebrew world, subscription boxes and clubs are used interchangeable all the time but they differ in one significant way. I see it on your face now… you’re confused. So what is the difference between the two? 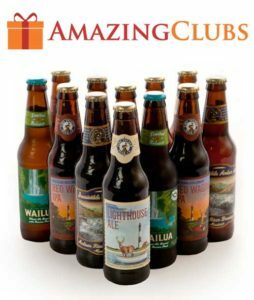 Beer Clubs – Upon subscribing, it will give you a set number of beers right at your doorstep (this could be 2, 12, or 24 beers). You will also get a newsmagazine and some gift, e.g., a bottle opener. 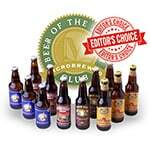 Being a member is an excellent way of tasting high-quality and hand-picked craft beer as recommended by beer experts. 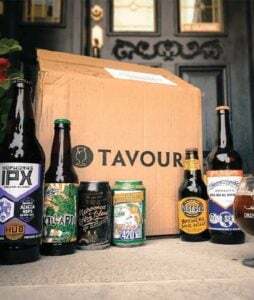 Subscription Boxes – On the other hand, having a beer subscription box will also deliver your beers right in front of your doorstep. 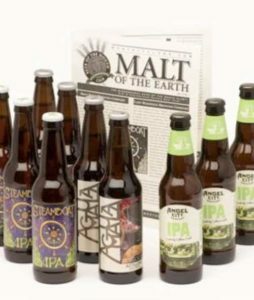 However, the beers within subscription boxes are not “randomly” picked, but are personalized to the distinct likings of beer connoisseurs who know what they want. It can be beer-style specific for some. Now that you know the difference, you can go ahead and be a member of a beer club or get a beer subscription box of your own. 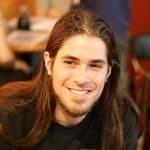 I’ve been a member of different brew clubs over the years and I know what makes one worth joining and why some are worth staying away from. I want you to find the club that fits your tastes and something that will work for you. For instance, if you primarily like domestic beers and really have no interest in trying imports, it would be pointless for you to sign up for something with options that include 90 percent imports. I’ve narrowed down the criteria that I look for in a beer of the month club to five main topics. I think that if a club can pass these five main areas, it will not only be a perfect club to join but you will have fun being a member. If you are anything like me, you will wait in anticipation for the next month’s shipment to come because you enjoyed the last one so much. 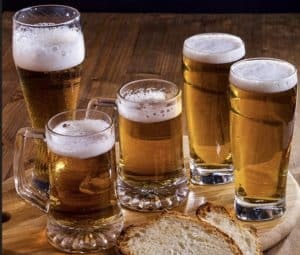 I think the first thing that I always look at when evaluating any type of brew club is the types of beer they offer as well as the total number of different options to choose from. After all, it doesn’t make sense to join something that doesn’t have much selections than your average small town liquor store. I typically evaluate the this based on the number of imports and domestics as well as the diverse homemade brews. I enjoy just about all types of drafts, so I’m not too worried about whether they offer ale, porters, wheat beers, or stouts. I simply look to make sure there are a consistent diversity of different brands, makes, styles, origins, and ages. Most companies have a directory of different brands they offer too. I like to skim through the list and make sure there are a few that I know I like and a bunch that I have never heard of. The range of beer is obviously one of the most important parts of joining a club. If they don’t have a good selection, why would join one? But how do they actually pick the brews that they send you on a monthly basis? This is the second most important question. They can have the best set in the whole world, but if they always send you something that you don’t want, it doesn’t do you a lot of good. I recommend reviewing how they pick the beers that you actually get in the mail. Most clubs have a range of different options you can choose from. You can go through their list of different beers and pick a case of your own. I like doing this occasionally if there is something I want to have again. Or the more adventuresome option, you can let them pick that month. Typically, the owners handpick a bunch of different ones randomly for you to try. This is kind can be a little hit and miss because you never know what they are going to pick, but isn’t that part of the fun of joining a beer club—trying new stuff? Lastly, most clubs offer an option to have their featured beers sent to your house. They usually have a few different beers featured each month for a number of reasons. Some might be new while others are popular season brews. Either way, you can look at the list of these ahead of time, so you can decide whether this option is right for you. The main thing is to look at how the club picks out the drinks each month. You don’t want to get stuck with a few cases of drinks you will never want because they keep picking out beers you don’t like. This might sound like a strange thing to be concerned about with a mail order club, but its community is one of the most important parts to me. Drinking brew is just as much about the experience and community as it is about the taste itself. 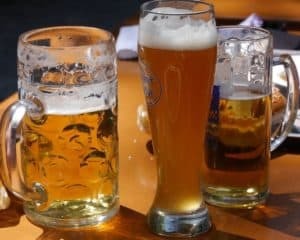 What is a good craft beer if you have no one to enjoy it with? This concept of an online community seemed a little strange to me at first too, but it is, in my opinion, one of the most important parts of any club. Being about to talk and email other subscribers will allow you to enjoy your membership much more than if you were just receiving shipments without any interaction with members. I know I’ve had a lot of fun interacting with other enthusiasts online. I’m sure you will too. With any mail order service, shipping and handle is always a big concern especially when you are talking about shipping glass bottles. Pretty much all clubs package their shipment well, so there isn’t really anything to worry about as far as the packages actually getting to you. The main thing that you have to be concerned about is costs. And sometimes, it ain’t going to be cheap. Not all clubs include the shipping costs in the price of the membership. I think customer service is important to everyone no matter what product or service you are buying. A monthly club is no exception. I like to look up reviews and ask around for the customer feedback about any club I am thinking about joining. It only makes sense that if you are ordering bottles of craft beer in the mail that you want a friendly and helpful staff of people who are ready to help you if there is a problem with your shipment or something arrives broken. The clubs that I recommend have great customer service with quick response times. In the event that a shipment arrives broken or damages, they ship another one out the next day without even asking a question. This not only makes the user experience better, but it also allows you to focus on the next beers that you want to try rather than focusing on whether or not the next order will arrive in one piece. You can also cancel your membership any time. Make sure to take advantage of the superb deal Microbrewed has going on until the end of April.